Charlie & Clow: The Bonus Arc was a series of slice-of-life adventures that only newsletter subscribers could read. Then it became a downloadable eBook. Now, it’s in GLORIOUS print for the first time ever. 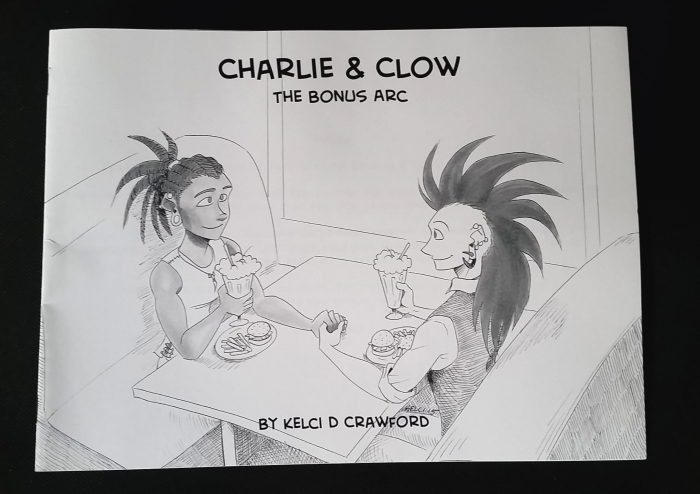 So if you loved Charlie & Clow and you haven’t read The Bonus Arc yet, purchase it on Storenvy before October this year. I mean, you can purchase it after October, but October is when The Case of the Wendigo goes online on this site. Yes, the final chapter of Charlie & Clow, The Case of the Wendigo, is happening this year in October. Specifically, October 18th. Mark your calendars, yo.